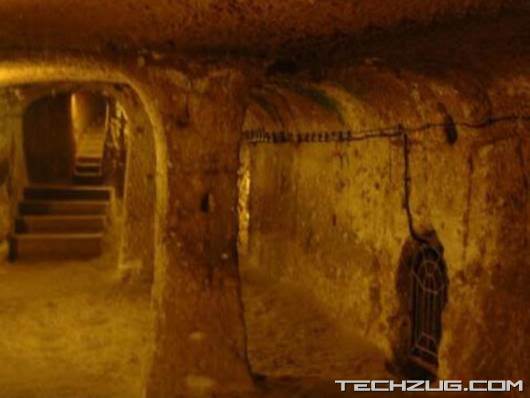 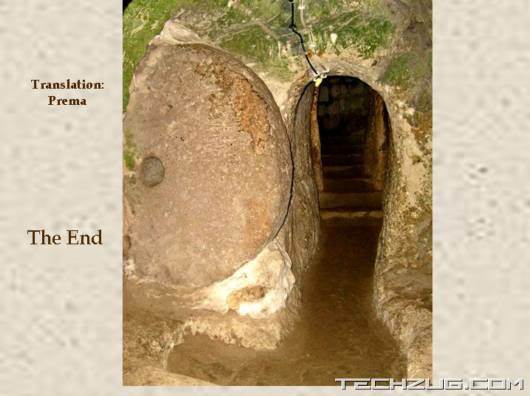 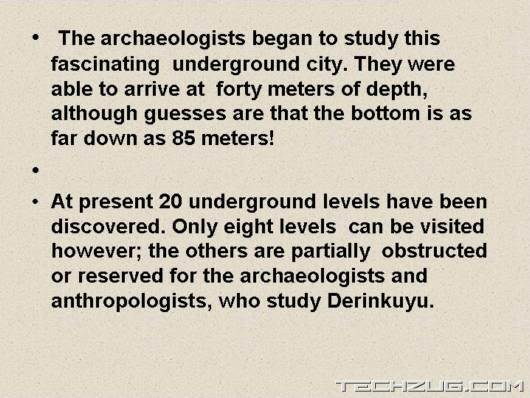 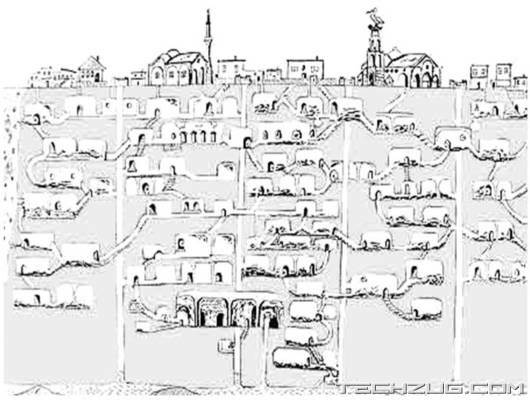 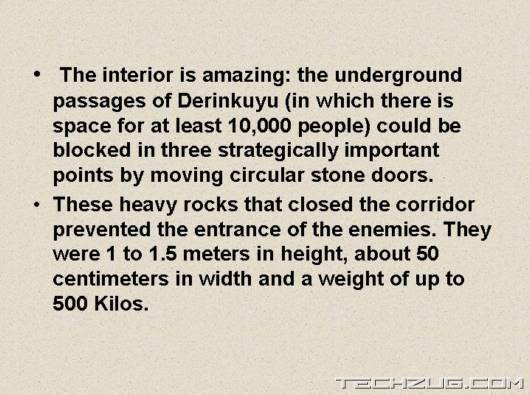 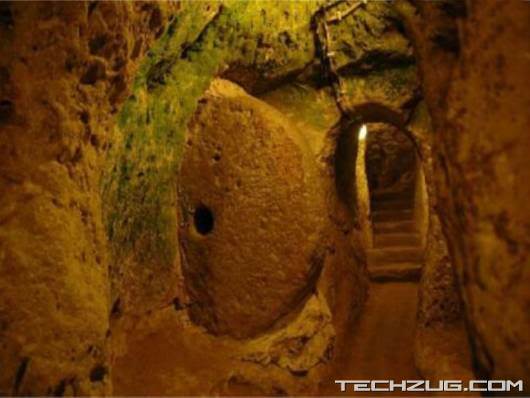 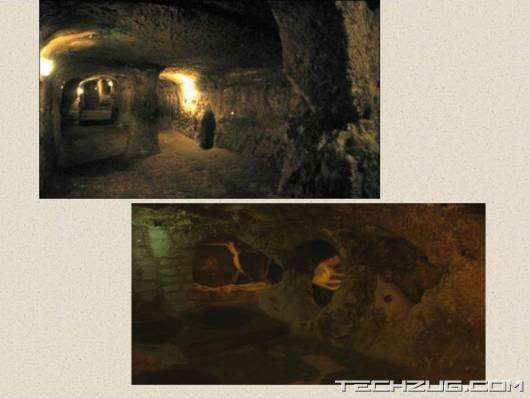 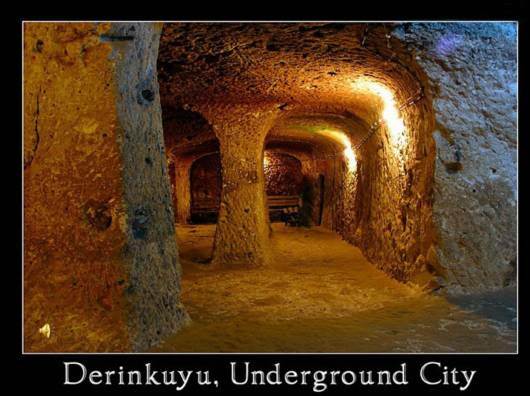 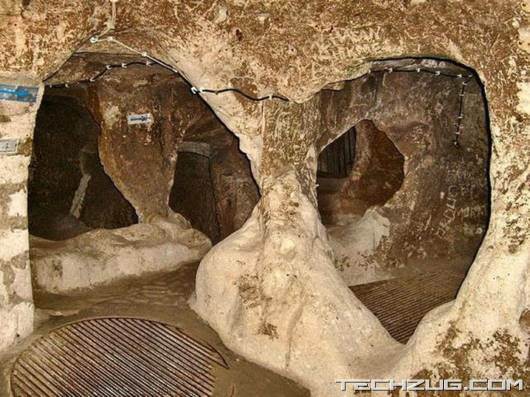 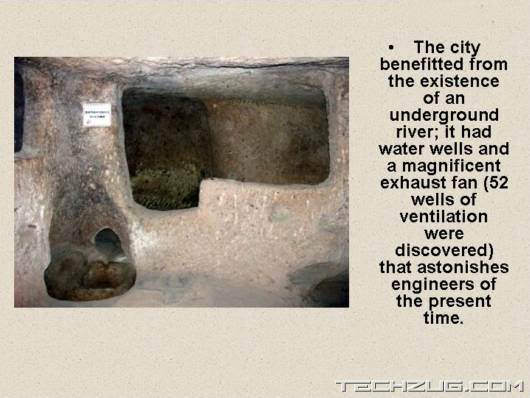 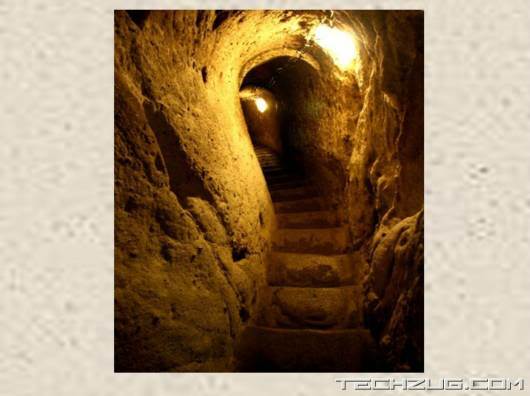 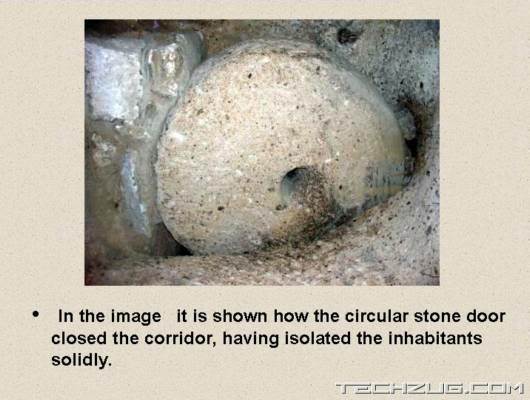 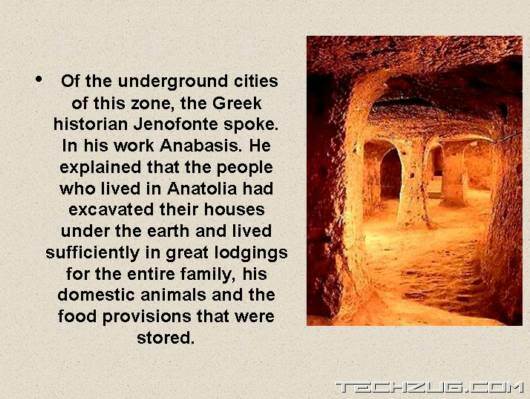 Derinkuyu Underground City is located in the homonymous Derinkuyu district in Nevşehir Province, Turkey. 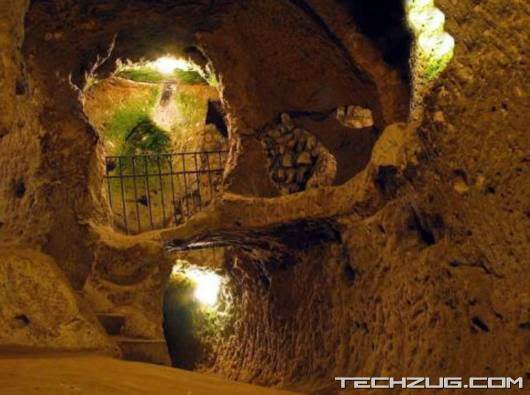 It is on the road between Nevşehir and Niğde, at a distance of 29 km from Nevşehir. 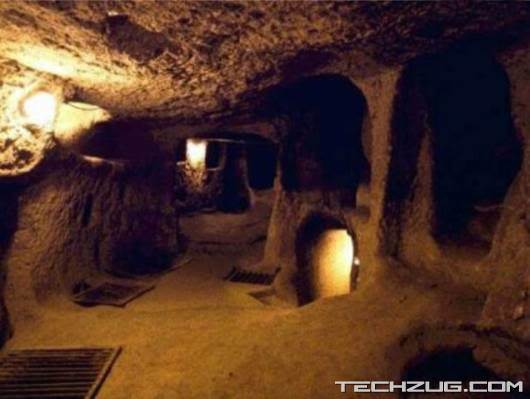 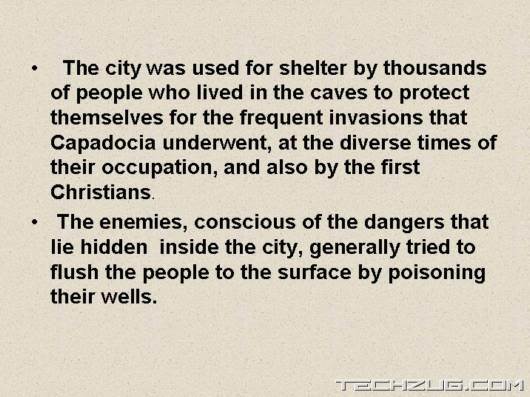 It was opened for visitors as of 1969 and to date, only ten percent of the underground city is accessible for tourists. 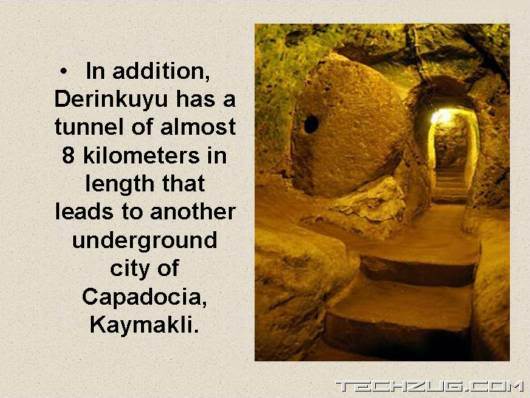 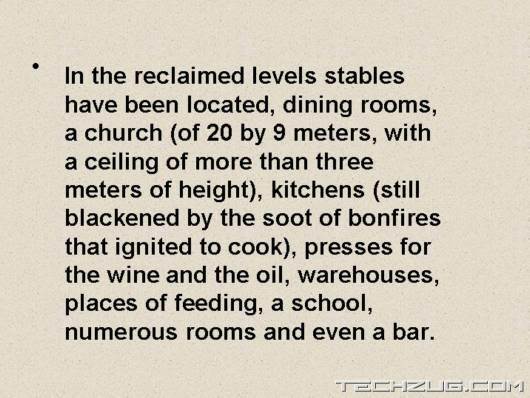 Its eight floors extend at a depth of approximately 85 m.